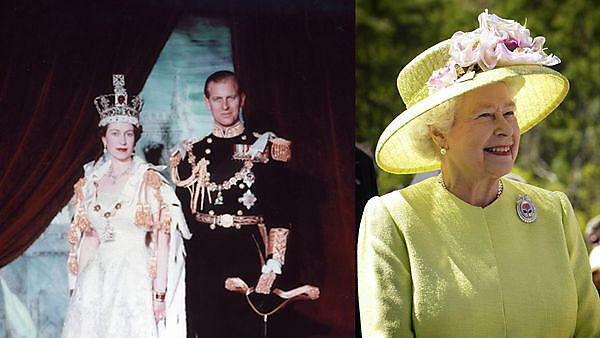 The 20th and early 21st centuries have signalled a period of tremendous upheaval and change for the British monarchy. But as the Windsor dynasty celebrates its centenary in 2017, a book – co-edited by an academic from the University of Plymouth – explores how the royal family has maintained its cultural and symbolic status through one of the most turbulent periods of world history. The Windsor Dynasty 1910 to the Present, published by Palgrave Macmillan, examines four rulers, starting with King George V up to and including the current monarch, Queen Elizabeth II. It explores the phenomenon of the establishment and the continuing impact of the dynasty both within Britain and the wider world, and looks at its successes and failures and the implications of these for its long-term survival. The book is edited by Dr Judith Rowbotham, Visiting Specialist at the University of Plymouth, alongside Dr Matthew Glencross and Dr Michael D Kandiah, from the Institute of Contemporary British History at King’s College London. The Windsor dynasty formally came into being in 1917, but the book starts its story seven years earlier when King George V came to the throne. He wanted to anglicise the royal family, which had been part of the Hanoverian and Saxe Coburg Gotha dynasties since the 18th century, and this was hastened by the outbreak of the First World War. The book examines this and a succession of other modernisations which George and subsequent rulers introduced in order to ensure the monarchy remains relevant to modern Britain. It features chapters written by commentators including Professor Roger Mortimore, Director of Political Analysis at Ipsos MORI, who examines shifting public opinion regarding the royal family, and Professor Robert Blackburn, from Kings College London, who focuses on the abdication of King Edward VIII and how it set a precedent for the Windsor dynasty putting aside individual interests so as not to cause a constitutional crisis. It also explores the potential future challenges facing the monarchy, how it has learnt lessons from the past and how the roles of individuals within the present royal family – and the institution as a whole – might alter over the coming decades. “Over recent years, there have been some subtle but interesting developments within the family, with the Prince of Wales taking on more royal duties and indicating that he may want a slimmed-down royal family to perform those when he becomes King. We have also seen the younger royals – especially Prince William – becoming more outspoken on a number of issues, and all that is undoubtedly an attempt to establish a smooth period of transition. This book is an appreciation of how, despite having little actual power, the dynasty has been able to enhance its role, pushing the institution towards a valued cultural, symbolic and diplomatic role at a time when trust in leaders is at an all-time low.